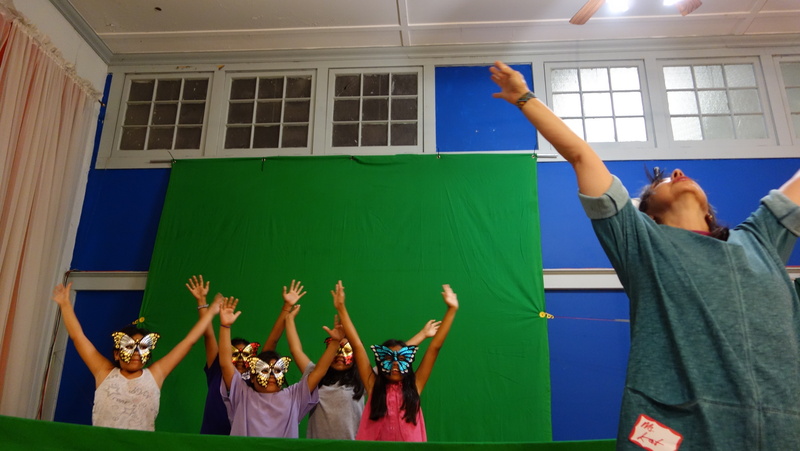 Above: Youth from Martinez Street Women’s Center perform during green-screen shoots. Since June, youth from three neighboring community centers have been working intently with URBAN-15 to develop their drumming, movement, and production skills–and they are almost ready to unveil their talents! Free to students in grades 6-8, the Summer Arts Intensive Workshop in Dance and Drumming is a collaborative effort between URBAN-15 and three area community centers. Over 11 weeks, youth attending summer programs at Presa Community Center, Martinez Street Women’s Center, and American Sunrise have visited our studio to learn skills in djembe, hand drumming, body percussion, performance technique and film production. In our first sessions together, we identified change–from light to dark, soft to loud, little to big, chrysalis to butterfly–as a visual, auditory, and sensory thematic linking together our explorations from week to week. 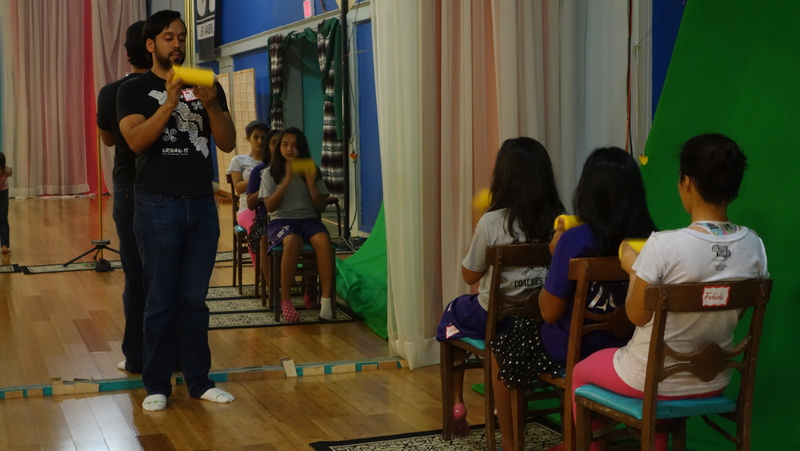 In the next few sessions, students rotated between djembe, hand drum, and movement stations, learning different parts of a short rhythmic piece we call Funky Presa. In our last sessions, we have been filming students performing these parts live. 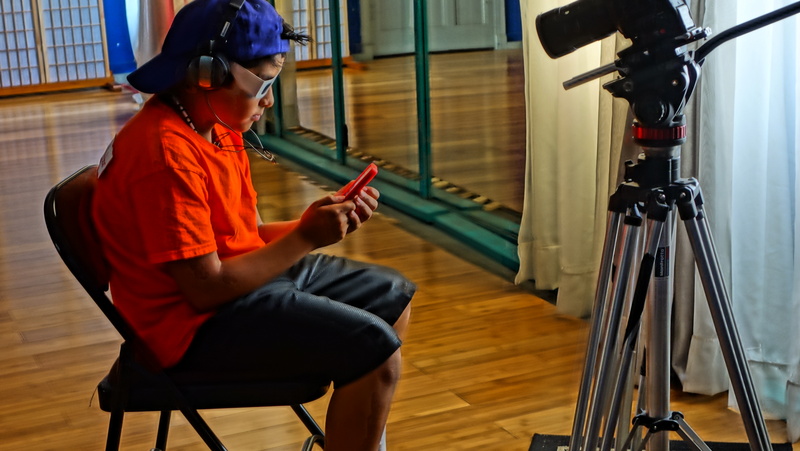 The photo above was taken during one of these shoots, snapped from the Tricaster room overlooking our studio, where small groups of Martinez Street youth performed short drumming and movement phrases in front of a green screen. In the final phase of the workshop, we will edit this footage so as to layer sonic and visual segments into a single narrative, creating two original video productions–one for our Tuesday students and another for Thursday’s–which friends, family, and community can view on YouTube. Watch this space for updates! ← URBAN-15’s Birthday Block Party!